In early summer it was reported that 39-year-old Laetitia Casta and 34-year-old Louis Garrel played a secret wedding in Corsica. The couple never tried to show-off, make anyone else jealous. Their wedding was a small private ceremony held in secret. Now the newlyweds are vacationing in Florence. It seems that Laetitia decided to relax and not worry about the press. Photographers managed to shoot the actor and model during a family walk. Laetitia Casta and Louis Garrel still prefer not to advertise their relationship. Photo: Legion-Media Laetitia Casta and Louis Garrel secretly married in Corsica this summer. But they do not want to share personal details with fans. And now, even after the official registration of relations, they are not in a hurry to go out together, and still try to hide from photographers and journalists. But they do not always succeed. 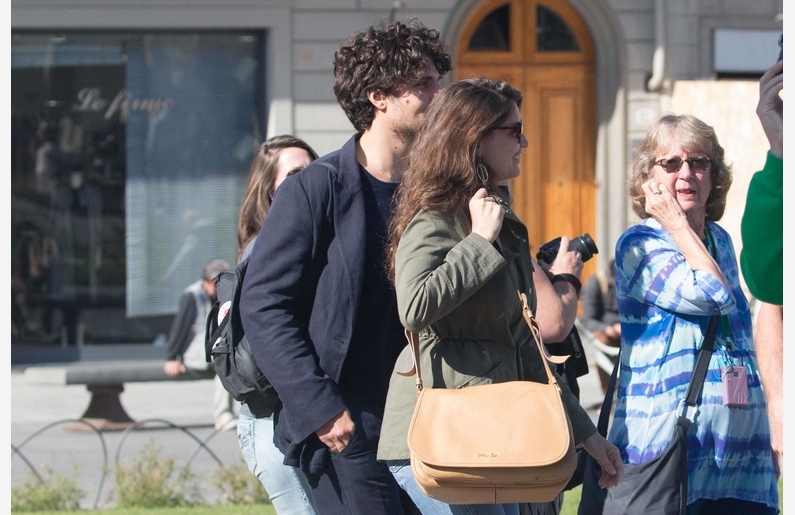 Here and this time the couple was caught by paparazzi in Florence, where they spent a joint weekend. Recall that Laetizia Casta and Louis Garrel before the wedding met for about two years. Although this was the first marriage for Garrel and Casta, both raise children from past relationships. The 39-year-old model has three children from previous relationships: 16-year-old daughter Satin, 11-year-old son Orlando and 8-year-old daughter Athena. The 34-year-old Louis also has a child - the daughter Celine, whom he, along with his former civil wife, Valeria Bruni-Tedeschi, adopted from Senegal.